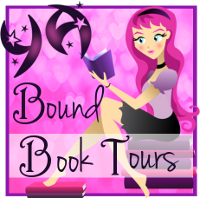 PIXELATED Release Week Blitz & GIVEAWAY!!! 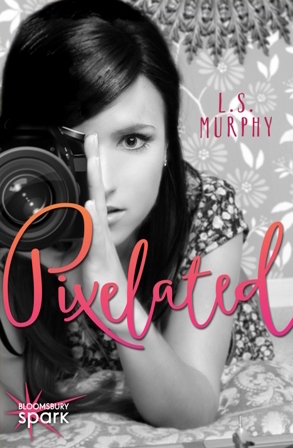 I am so excited to host the author of PIXELATED, the YA contemporary romance by L.S. Murphy!! If this book isn’t on your To-Be-Read list, then it should be (*ahem* you can add it here: Add to Goodreads). episode of Doctor Who like it’s the first time. 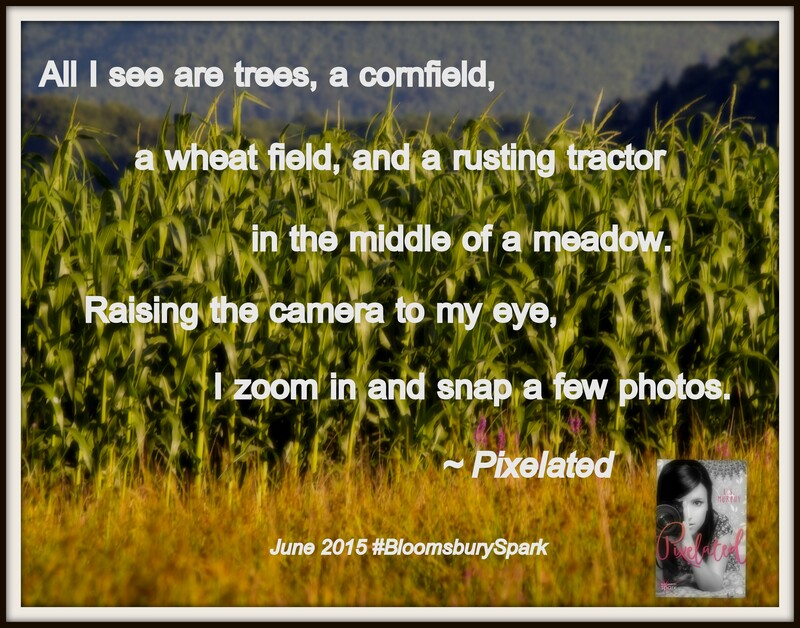 When she’s not doing those time-consuming things, the former farm-girl turned city slicker turned suburbanite writes sweet romances for teens and adults. It’s PIXELATED’s book birthday, so naturally, there has to be a gift, right? How about a $25 Amazon Gift Card? To enter the giveaway, click on the link below! $25 Amazon Gift Card Rafflecopter Giveaway!!! I also want to thank L.S. for putting together this short message on piracy. Take it away, L.S…. Back in March, before PIXELATED was even on NetGalley or had eARCS available, I discovered something disturbing. Of course, googling isn’t always going to bring sunshine and roses, but I digress. I searched for PIXELATED just to see if it would pop up on any blogs. Lo and behold, I stumbled across a discussion thread. Someone had asked where they could get my book for free. Well, for one, it hasn’t been released yet. For another, go to the library. For a third, WHAT? Now, a few peeps responded that it’s never okay to download books from the internet illegally. Yay them. They also directed her to some sites for purchase and recommended she request the title from her library. Of course not. Silly me. I kept reading. It turned from “don’t do piracy” to “another author pulling the wool over our eyes.” I’m not sure how I’m pulling the wool over someone’s eyes. I work a full-time job. Most authors do. It’s almost impossible to make a living as an author these days. Yeah, there are some that do. Great for them. But they’re in the 1%. I’m not out to get rich. Don’t get me wrong, I would LOVE to be in the 1%. But I’m not doing this for free either. I work my tail off. All authors do, even the 1%. I sacrifice time with my family, my friends, and even downtime to relax. All because I love to write. And I worked my rear off to get an agent who worked her rear off to get me a deal. None of us are doing this for free. So, the next time you hear someone saying all authors are rich, remember me. I may be sitting next to you at Starbucks counting change so I can have another latte to get me through another thousand words. As an author too, I agree with everything L.S. mentioned, one hundred percent. For all authors, their agents and editors, and everyone else that’s behind the scenes when it comes to getting a book on the shelves, writing is our livelihoods. Books put food on our tables. Please do not download illegal copies of our books. We sincerely appreciate it, thank you! Thanks for stopping by and celebrating the release of PIXELATED!! Don’t forget to enter the giveaway above and check out L.S. Murphy’s fabulous new release, you won’t be disappointed! ← Countdown to CAN’T GO BACK! I will be looking for this book soon! I’m a former middle-school teacher and have always enjoyed YA books…helped me to understand the middle-school mind!